One of the most detailed assessments of the global container ports and terminals market, with unrivalled coverage and depth of insight, analysis and commentary. This market defining annual report has become something of an “industry bible”. Used not just within the port and shipping industry but also further afield by banks and financial institutions. It provides a level of quality and depth of analysis not available elsewhere. "As a global leader in the liner shipping industry, CMA CGM requires comprehensive and independent data and analysis on the port industry. Drewry's ‘Annual Global Container Terminal Operators’ report provides this. In addition, CMA CGM's high-standards and service expectations are met by Drewry’s excellent after-sales support." "The Drewry Global Container Terminal Operator Report is an extremely valuable tool for any port and shipping industry analyst or observer." "The analyses contained in the Drewry report, 'Global Container Terminal Operators', represents a very useful resource. We have great respect to those collecting, verifying and validating the data and putting it into this comprehensive format." 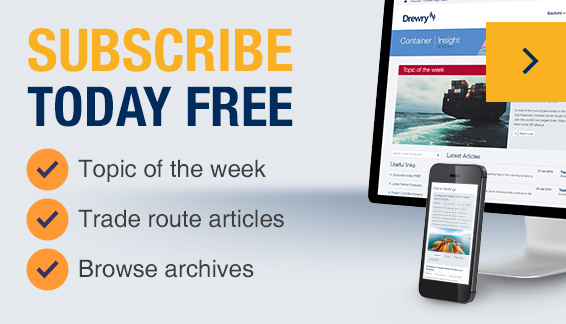 "Drewry data is the single most authoritative source leading the industry bar none!" "I like your reports. You seem to be the only place where one can get sensible information about what is going on in the container terminal industry."